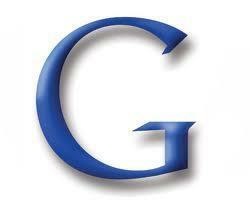 On February 24th, 2011 Google announced a major algorithm change that affects search results. We know they make frequent changes to their algorithm on a regular basis. Usually it is very subtle and often unnoticeable, affecting just a very small percentage of results. This time Google says it will noticeably affect 11.8% of search queries. Which, is a fairly big number when you are talking Google search results. Any time Google makes changes you will find people complaining and others praising it. I haven't noticed anything significant, but then again I don't check a search result on a daily basis. As far as I can tell from this announcement they are simply trying to provide better results by rewarding sites and links that have valuable, original, and unique content. How they determine this is not known. Hopefully it really does work out for the best. I get so tired of searching for something in Google and the results returned are sites that all have exactly the same information. It doesn't happen all the time, but often enough. Now if it helps do away with some of that, it wouldn't bother me any.